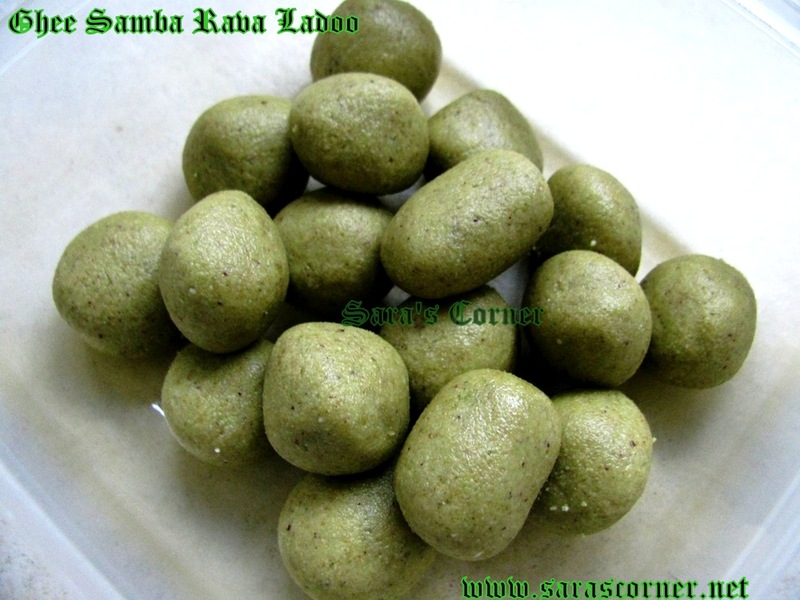 Samba Rava /Broken Wheat and nuts ladoo is a healthy ladoo. Once I started preparing the Samba Rava Kanji health mix and my mother in law told me to do the ladoo too. I have been preparing every month and its my son's favourite one too. Nuts - I have used little cashews, more of badam and pistachos. In a kadai, dry roast samba rava, pottukadalai, and nuts to slight brown separately. Slightly roast the nuts too. Grind to fine powder in mixie with sugar. Melt the ghee in a pan and slowly mix to the powder and make medium size balls. Healthy Samba Rawa Ladoo is ready. Enjoy with Coffee/Tea. With the same above ingredients add milk and less ghee. Follow the same procedure to make ladoos. But the shelf life will be less. Store it in an air tight container and refridgerate it. Super healthy and yummy laddoos..
thats a cute presentation dear with the mickey...yummy. wow, that looks great and so healthy too.